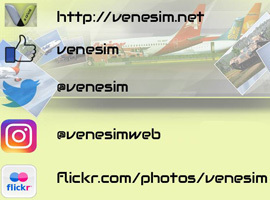 FS2004/FSX Aeroclub Venezuela Boeing 737-BBJ. Texture made to order, designed by Samuel Sequera for the forum Aeroclub Venezuela of Skyscrapercity, Textures only for the Project Open Sky model. Repaint by Yemel VeneHacker Yarbouh..